you remember when i did a blog review about the honest company? has been kind enough to share her experiences with the honest products. and sharing a picture of her favorite satisfied customer, cora. I have no experience with the Honest baby supplies or diapers, but I am curious about how moms are liking them. What is your favorite product for your baby? I *love* our Honest baby products, but my favorite has to be the Wipes. We’ve used a few different brands that people have given us as gifts, but I’ve found a lot of them to be disappointing. The Honest wipes are large enough and sturdy enough that I can generally get away with using just one to clean up any messes. By only needing one, we create less waste, and go through them slower! They’re also odor-free, which I find to be incredibly relieving. Turns out, nothing is worse than dirty diaper smell than dirty diaper smell masked by some artificial fragrance. Honest offers big packs of wipes, as well as travel packs - perfect to stick in your diaper bag without making it weigh a ton! I don’t have a least favorite out of the things we’re using, but I DO wish they made a reusable diaper, or at least a hybrid diaper! I love that their diapers are non-toxic and safe for baby, but right now, we’re using a different diaper (G Diapers - check ‘em out!) just to try and cut down on the waste. If we ever transition to a disposable, though, I’ll definitely be ordering some of the Honest diapers. Between safe ingredients and adorable prints - can’t beat it. Is the number of diapers that come in a shipment sufficient to accommodate baby’s ahem bathroom needs? Every baby is different and will have different diapering needs, but as a general estimate, yes - the bundles are more than adequate. 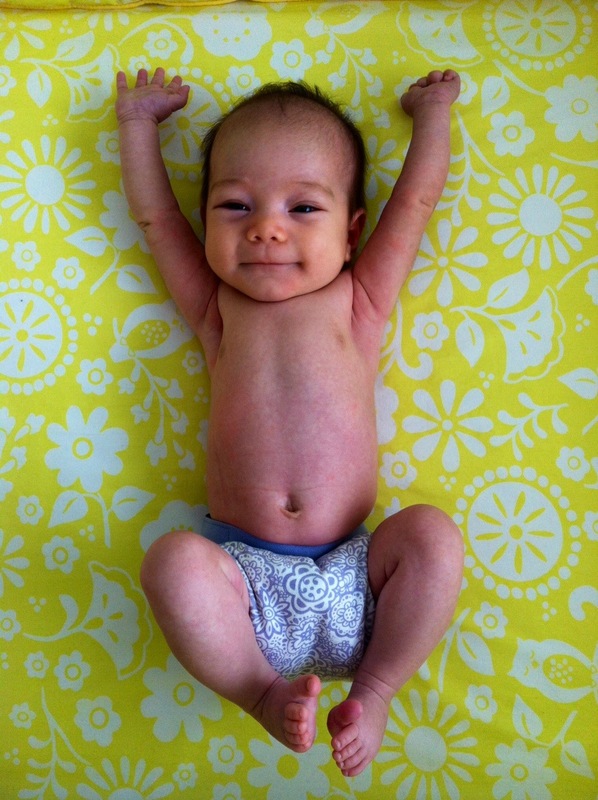 Newborns go through about 10 diapers a day, but that gradually decreases as they get bigger. Not to mention, the bundle price ends up being about the same price as name-brand diapers in stores. If parents are interested in disposable diapers, the bundle is a great way to go - plus, it auto-ships! How convenient is that? What product do you wish Honest would develop for baby? Ah - I jumped ahead of myself! I wish they would make a more sustainable diaper. Also, if they made some non-toxic, cleaner-material pacifiers and baby toys, I would be all about it. Do any of the baby products translate well into adult use ? Yes! In fact, a lot of our items have multiple uses. We sometimes use the shampoo/body wash for Cora, depending on where she gets bathed - the scent is so light that it doesn’t bother her (or us! ), and it’s gentle enough for her super-fine hair. Also, the healing balm - which is *awesome* as a commercial diaper rash cream alternative - is fantastic for tough grown-up skin. I use it on my elbows and feet at night. But heads up: it smells pretty strongly like sunflower seed oil, so don’t expect any super lovely, light fragrance. What essentials have you tried so far? Body wash, lotion, lip balm, hand soap, laundry detergent, oxy-boost, dish soap, dishwasher pods, rinse aid, floor cleaner, fruit & veggie wash, and the dish brush. What is your favorite for cleaning? I’m super in love with the laundry detergent. It’s a large bottle, and for High Efficiency washers, you use so little that it really lasts a long time. I thought that with baby clothes and diapers getting washed so regularly, we would go through it in a flash, but I’m still on my first bottle, and we’re three months in! It’s a tiny miracle! The clothes always come out fresh and clean, and the scent is light and refreshing, unlike a lot of detergents that are incredibly fragrant, and would be too harsh on our baby’s skin. What is your favorite for bath/body? The body lotion is fantastic. It feels light and clean, and does just as well on baby skin as grown-up skin. Again, no strong odors, so I don’t have to worry about any irritation. I also really love the lip balm, and it’s great to be able to kiss all over Cora without worrying about anything dangerous getting transferred to her skin! Which product could you do without in the future? The dish soap has been a little disappointing. Though the dishwasher pods work great, the dish soap doesn’t get very sudsy, so I feel like I end up using a lot more than I normally would. On the plus side, it doesn’t dry into that awful, artificially-colored goop and clog the bottle, the way that so many dish soaps do. What product do you wish Honest would develop in the essentials bundle? I wish the diapers could go in the Essentials Bundle. We usually keep a pack of disposables around for traveling/emergencies. It would be great to just add in one package of diapers to my monthly shipment without having to do an entirely separate transaction. Do you recommend these products? Honest now sells diaper cakes. Seriously. Diaper cakes. Adorable. My baby shower has come and gone, but please feel free to send Cora a diaper cake with dinosaur print diapers on them. Are you kidding?! Dinosaur print diapers! Yeah! I got really the best honest diaper reviews.. Now I will discuss about it with my husband and purchase it as soon as poosible. Thank you! !